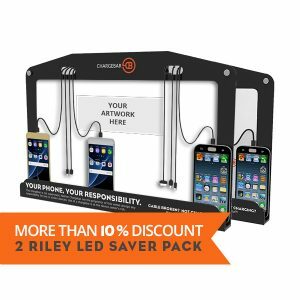 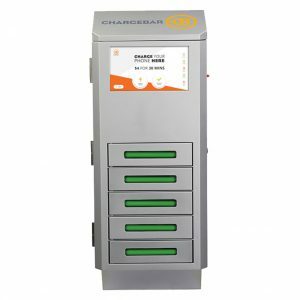 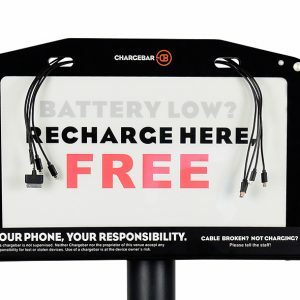 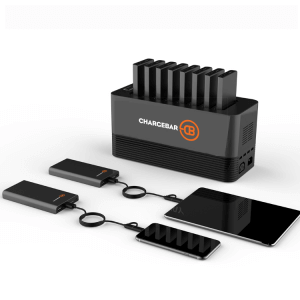 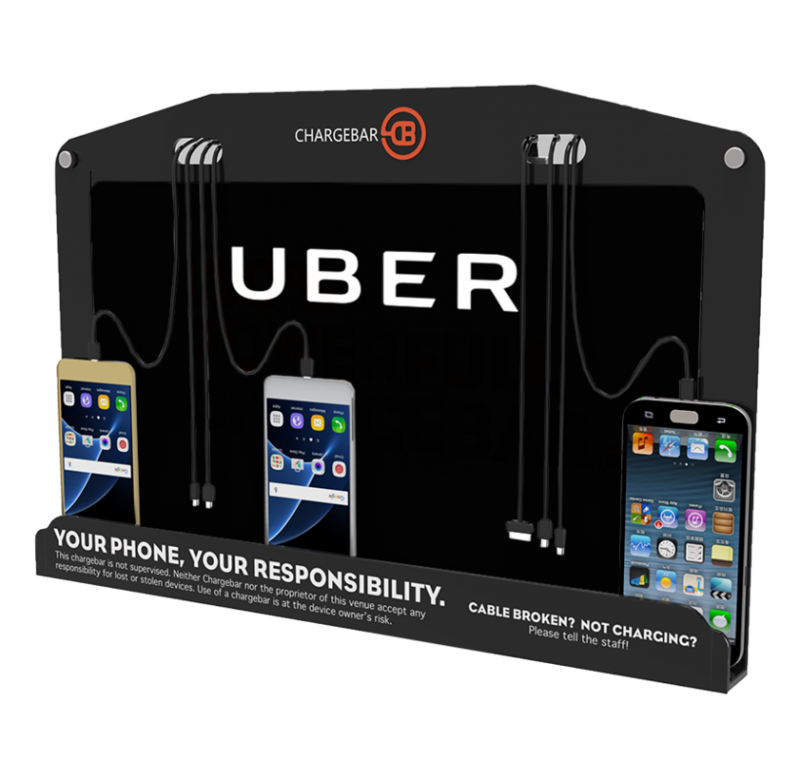 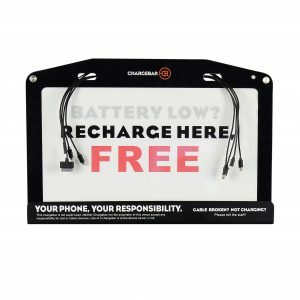 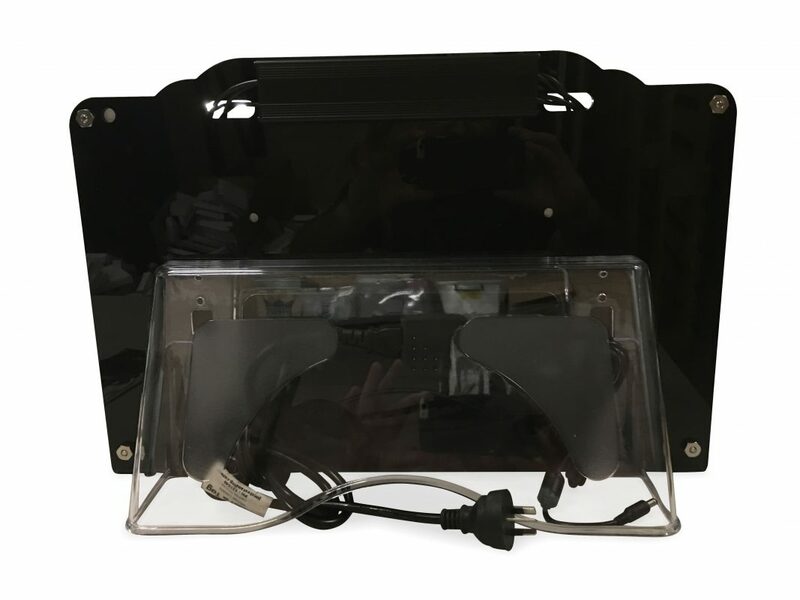 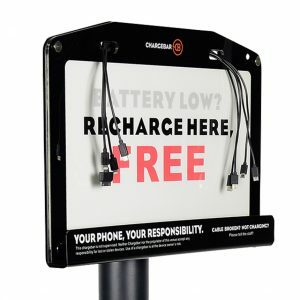 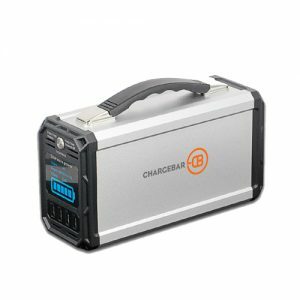 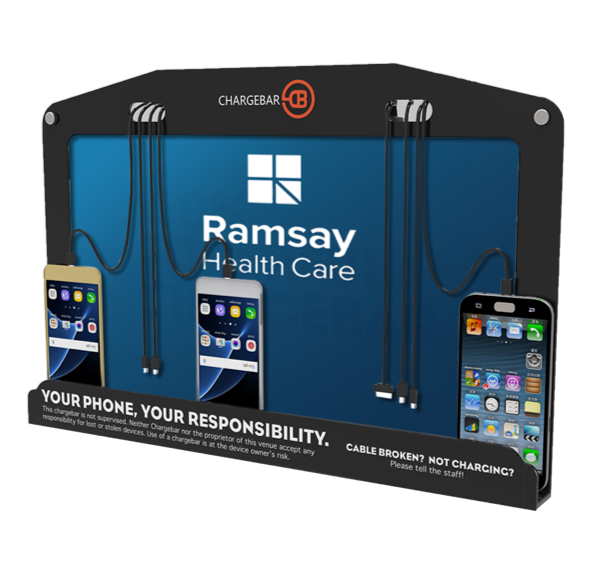 The Riley TABLE MOUNTED LED is one of Chargebar’s signature charging stations. 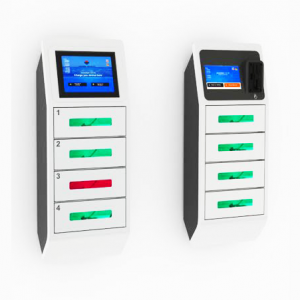 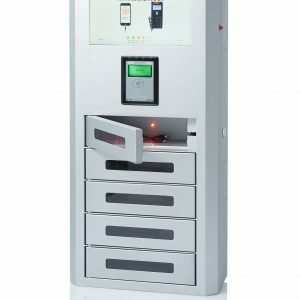 Located in thousands of out-of-home locations, the Riley is perfect for any restaurant, bar, shopping centre, supermarket, university, library, hospital or any other space that needs to keep its visitors connected. 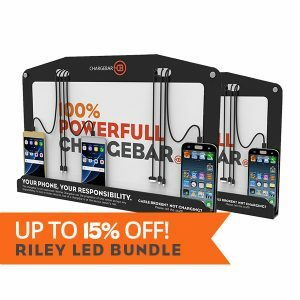 With a vibrant backlit panel, the Riley LED is a beautiful, branded addition to any space. 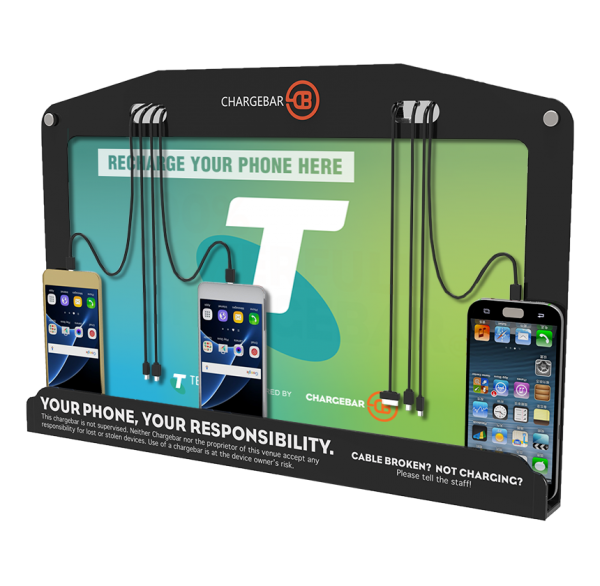 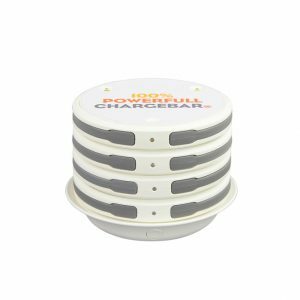 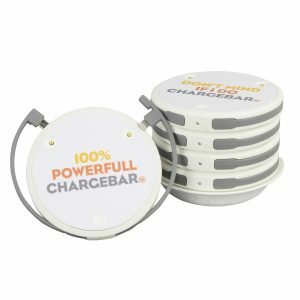 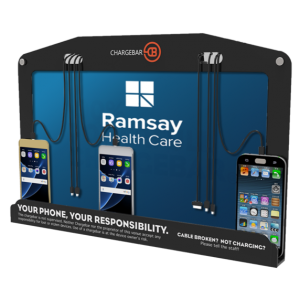 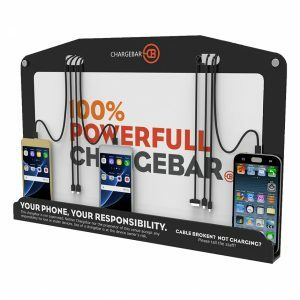 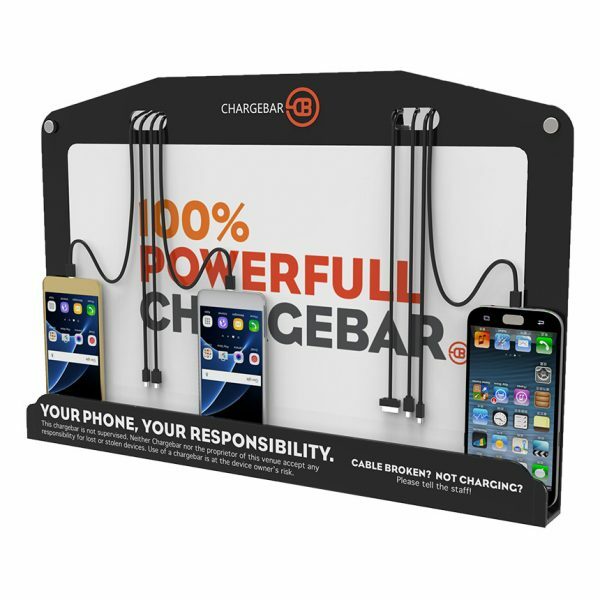 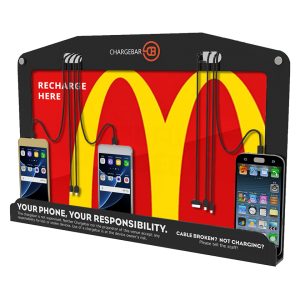 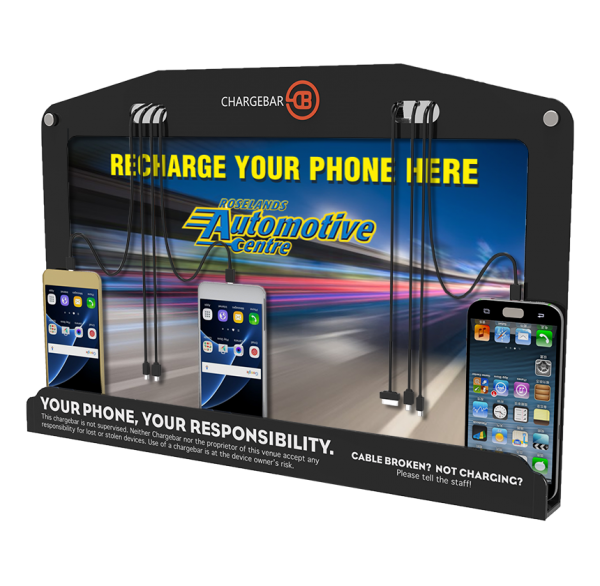 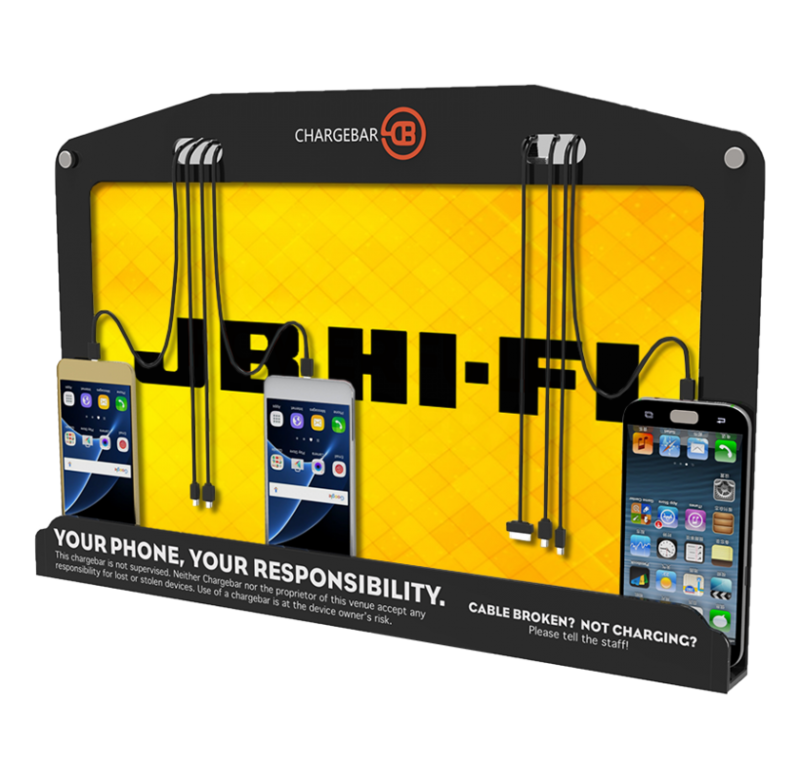 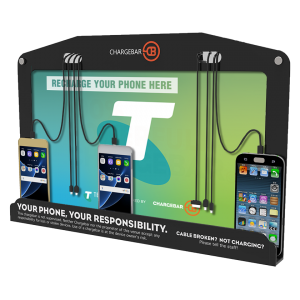 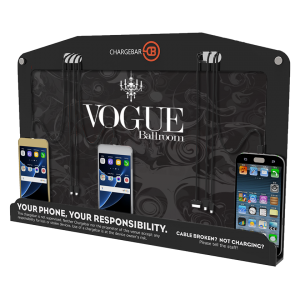 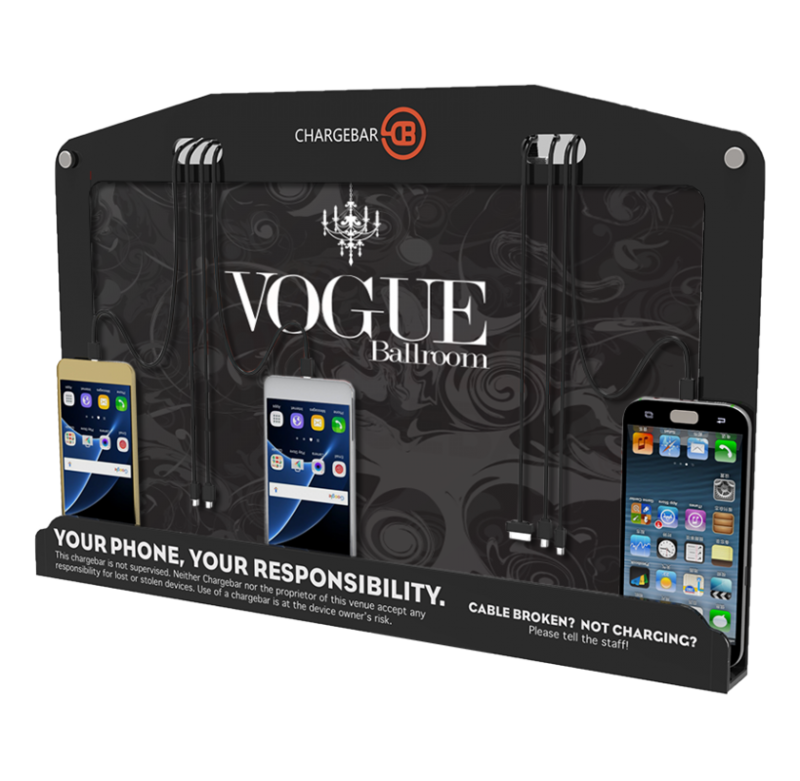 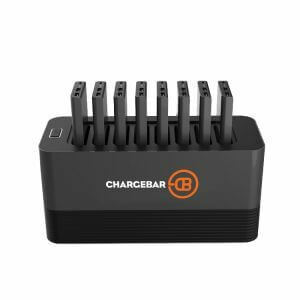 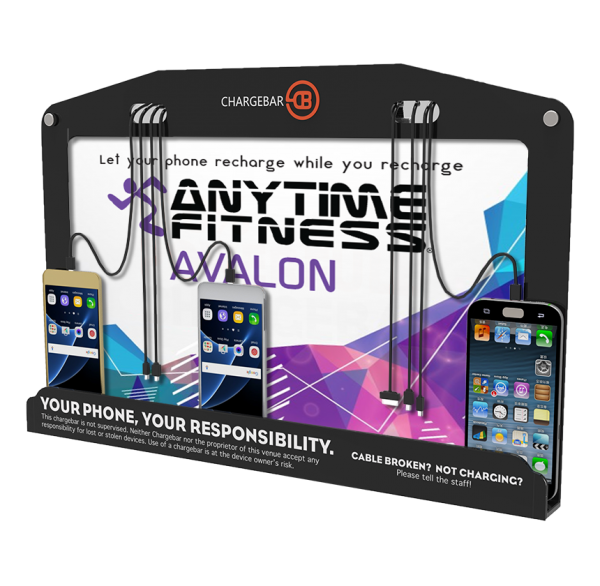 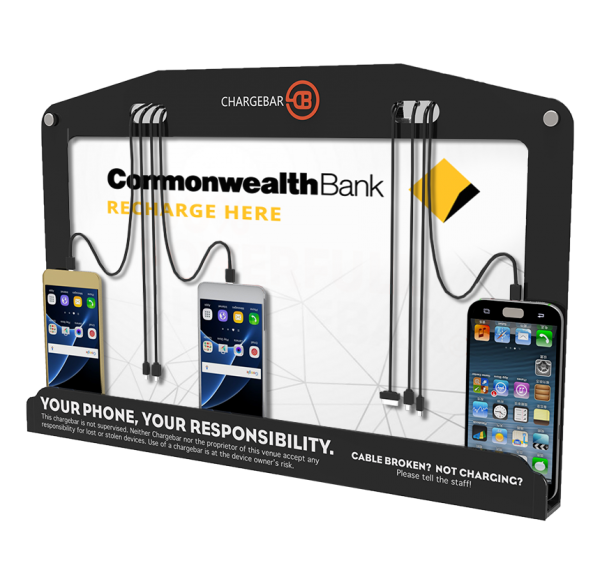 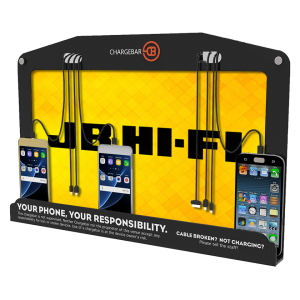 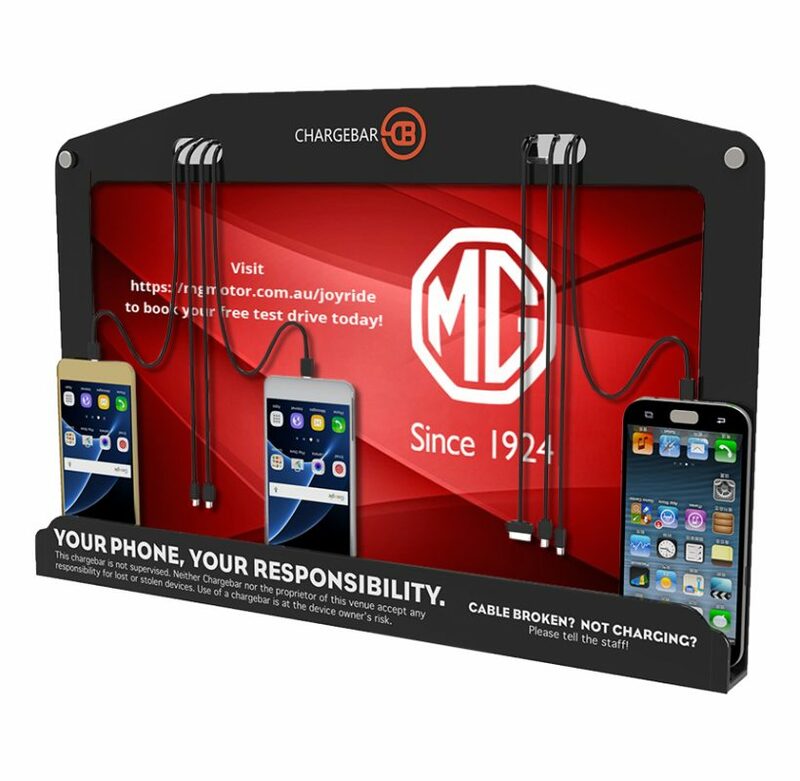 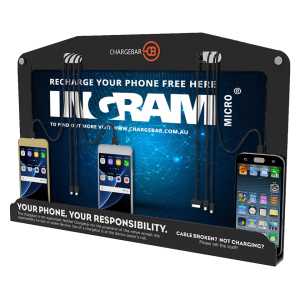 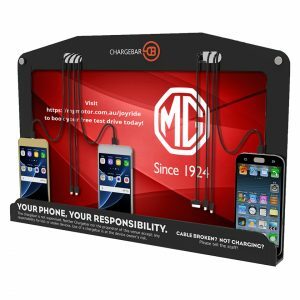 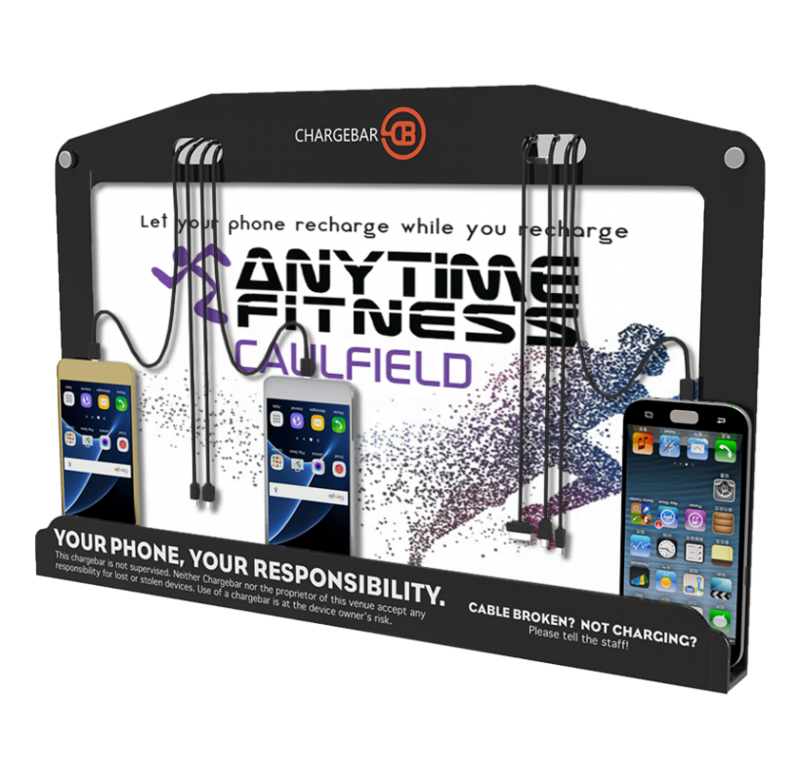 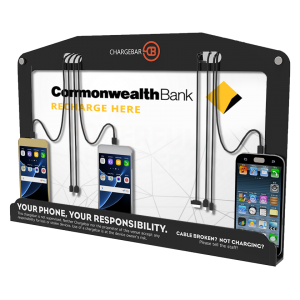 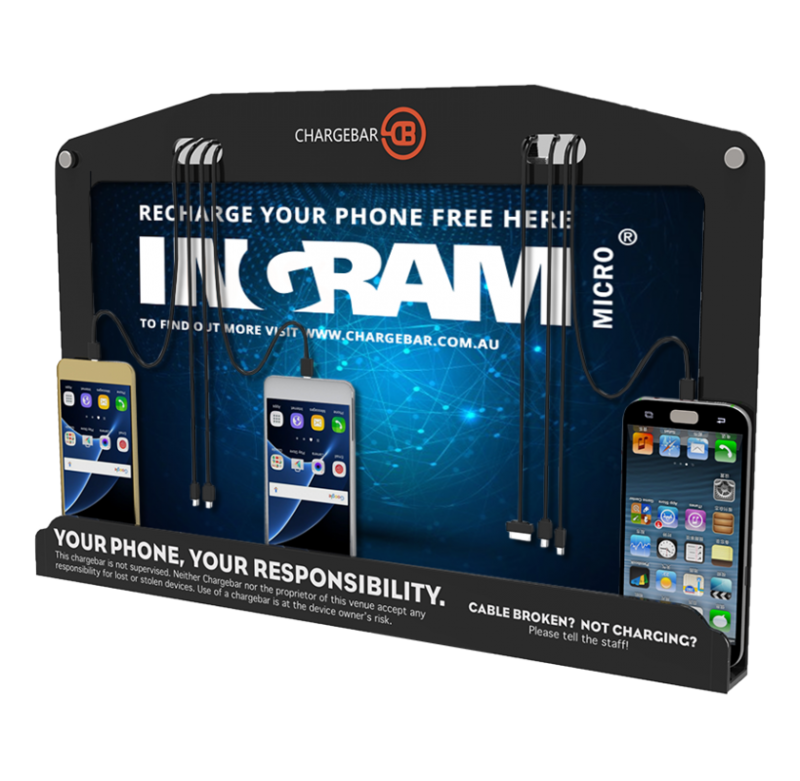 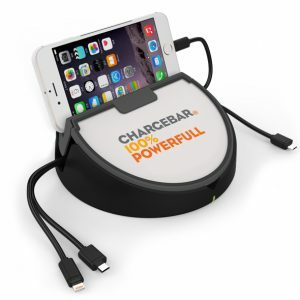 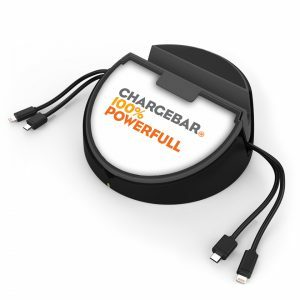 With a simple stand, this Chargebar can sit on any surface, allowing the branding to be displayed perfectly. 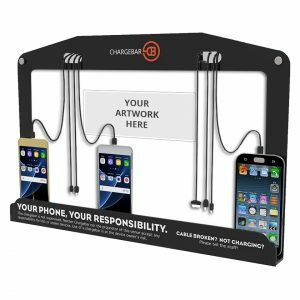 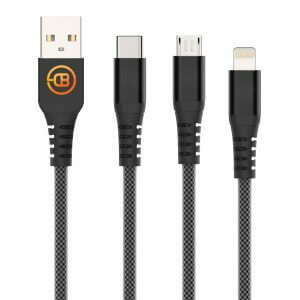 Place it at the end of the table, bar counter or reception desk! 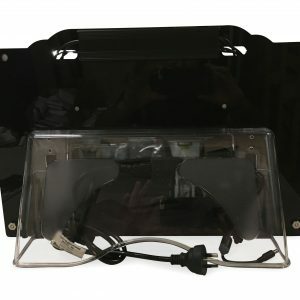 There are no mounting screws or bolts. 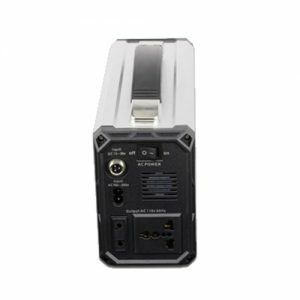 this unit simply sits neatly on your table allowing you to easily move it when necessary.